I find myself getting really irritated by people who sit at home (or wherever) and think its perfectly acceptable to abuse referees on Twitter or Facebook or wherever just because they happen to be involved in their games, or simply because they don’t understand what our role is and how we do it. What’s even more galling is that their impunity is brought up regularly and I just can’t help giving some back to those who suggest, or blatantly accuse, them of being cheats or biased. 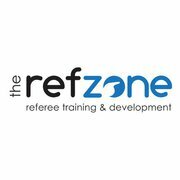 We’re talking about our top officials in the world, most of whom are professional referees. Their livelihoods depend on them being the exact opposite! Demonstrably and accountably so. Some would say that the abuse is “just part of the territory”, but why should it be? Thanks for all the comments that people are leaving, its nice to know a) people read my musings, b) its being of some use and c) that I can call on assistance from those out there. My intention on this blog was to remain anonymous ( ho hum!) and at least to refrain from naming myself or the sides I’m involved with, so please can you respect that with your comments here. On other fora, things may be different but here is my control. I can edit comments and will do so if I need to remove names/clubs etc. The GRU has requested a ruling with regard to Law 16.6 Successful end to a ruck. A ruck is formed and the ball is playable for Team A. All players in Team B now leave the ruck and step back. Is there still a ruck or has the ruck ended? 1. A ruck ends successfully when the ball leaves the ruck or when the ball enters in goal ie. on or over the goal line. 2. A ruck ends unsuccessfully when the ball becomes unplayable. As there has been a ruck formed initially, AND the criteria for a successful or unsuccessful ruck have not been exhibited, then the ruck has not ended.